With all of the headlines surrounding the #takeaknee protests in the NFL, we are grateful for the voice of Rob Daniels. He is one who constantly calls people to healthy dialogue, and he shares his thoughts on this latest protest below. 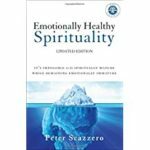 One of the key principles I have learned from the discipleship material I have begun using in my ministry over the last numbers of years, called Emotionally Healthy Spirituality, is this… we cannot change what we are not aware of. A scene in the 2000 movie, Remember the Titans, captures this truth and what I believe is a major part of the problem facing us today as we process the #takeaknee protests. Following a hard-fought victory, Alexandria, Virginia’s TC Williams High School, the newly integrated school and football team, face a racial reality often still ignored or denied by the majority culture. 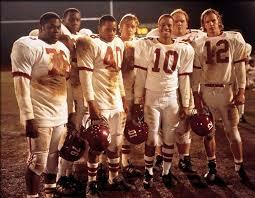 Two black football players (“Petey” and “Blue”) and their white quarterback, Ronnie Bass (nicknamed “Sunshine”) are celebrating the victory when Sunshine invites Petey and Blue to eat with him at a local restaurant…. Sunshine: What, man? It’s on me, man. We party on. Let’s go. Blue: They don’t want us in there, man. Sunshine: Oh, man, that’s history, bro. It’s on me. Come on. Owner: We’re full tonight, boys. Sunshine: What? There’s tables all over the place, man. What are you talking about? Owner: Well, this is my establishment. I reserve the right to refuse service to anybody. Yeah, that means you, too, hippie boy. Now, y’all want somethin’ to eat, you can take these boys (referring to the black football payers) out back and pick it up from the kitchen. Blue: What’d I tell you, man? Yo, come on, Petey, man! Sunshine: Petey, I didn’t know, man. Blue: I told you! What you mean you didn’t know?! You think I was playing with you?! 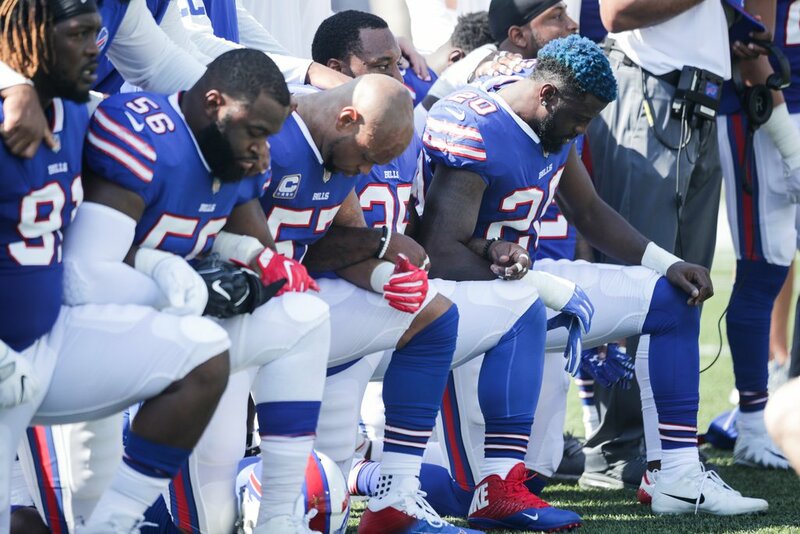 Here is what I find myself thinking not only about the #takeaknee movement, but about everything race-related in our society over many years: There are quite a few of my white Christian brothers and sisters who are also my fellow Americans, and they actually prefer that people of color like myself simply be quiet, be grateful, grow up, stop promoting division and stop complaining about the injustices and the un-American treatment we continue to be the recipients of here in 21st century America. 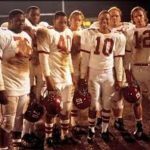 Or as the story from Remember the Titans demonstrates, they seem perfectly happy to remain oblivious to the pain of their brothers and sisters of color. Worse yet, they deny that it truly exists. They don’t wanna know. The national chatter about #takeaknee is everywhere. You’d have to be spending time on Mars to have missed it. 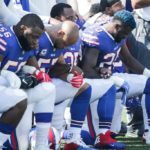 The main refrain is that those taking a knee during our national anthem are miscommunicating the purpose for their kneeling, or they have chosen the wrong target to “disrespect” (the flag & those who serve our nation as first responders or in the military). The objection here is most often: there must be a better way to express your pain. I suspect all of these objections might just be deflections to avoid knowing. As those who led the civil rights movement in our nation marched, sat-in, or rode the segregated buses together, they, too, were accused of something similar: disrespect. There had to be a better way to object to the injustices they were dealing with on a daily basis than to disrespect the law. The thing is, from the civil rights movement then to the very beginning of these peaceful #takeaknee protests now, the issue has never been disrespect. Not for the law, not for the anthem, and not for the military. Rather it’s always been about a call to those in the majority to take notice of what folks like “Sunshine” in Remember The Titans were choosing to ignore.The truth is, our society will never get to a better way of dealing with injustice and marginalization unless the voices of those disproportionately impacted find and use peaceful platforms to create awareness for the rest of society. Don’t let the form of protest distract you from the issues being protested. They need your attention. You cannot change what you are not aware of. Rob Daniels serves as Executive Pastor of Westbrook Christian Church a growing, vibrant multi-ethnic church in Bolingbrook, Illinois. Having grown up in an ethnically diverse community and having a multi-ethnic family has shaped a unique perspective on issues related to race and ethnicity. In addition, having served on the staff of churches in Calgary, Alberta, Canada; Naperville and Carol Stream, Illinois and Indianapolis has provided a wealth of practical insight on leadership issues in the local church.